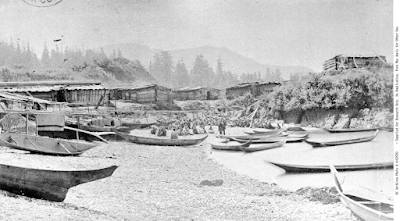 This photograph, held by the BC archives, is noted as being a "Quatsino Village" and was reportedly taken circa 1866. 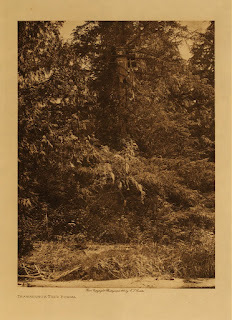 This would make this one of the earliest photographs taken on the North Island. First Nations people, their villages, artwork and regalia were the subject matter of many early photographs taken on the North Island. 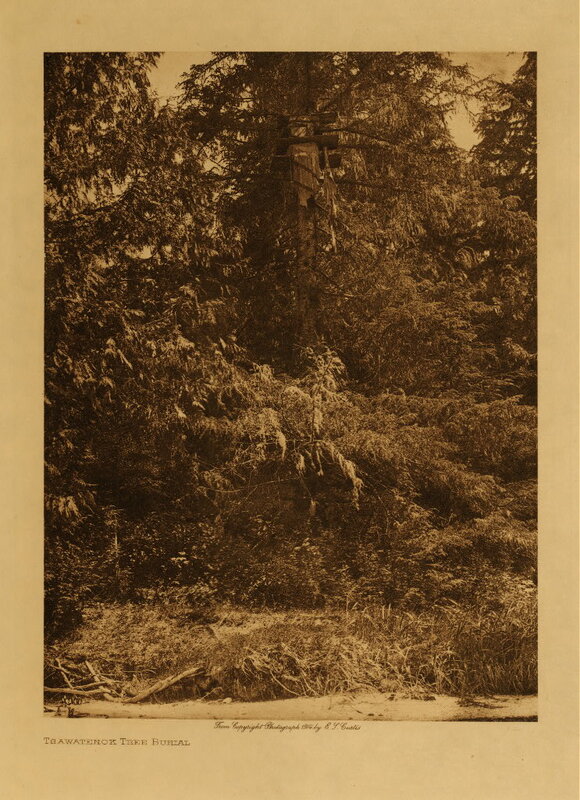 Many became postcards depicting traditional west coast lifestyles. 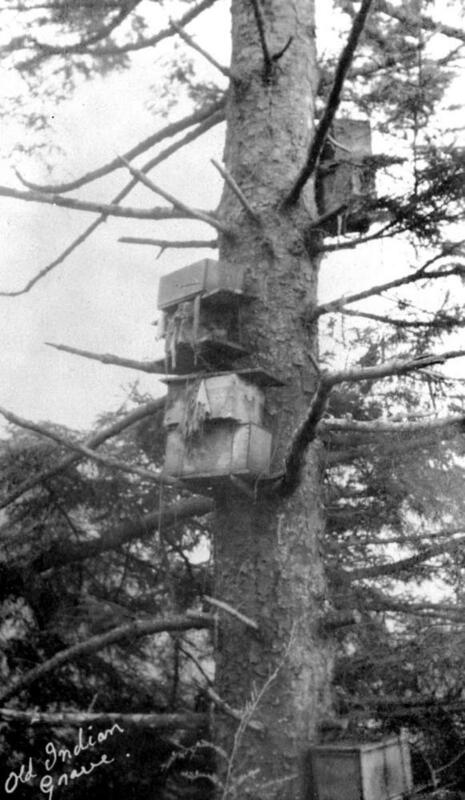 In the mid 1800s many First Nations still lived a lifestyle where they traveled seasonally to different villages. This confused the Europeans who would consider a village abandoned if they came upon it in a season during which the settlement was not utilized. 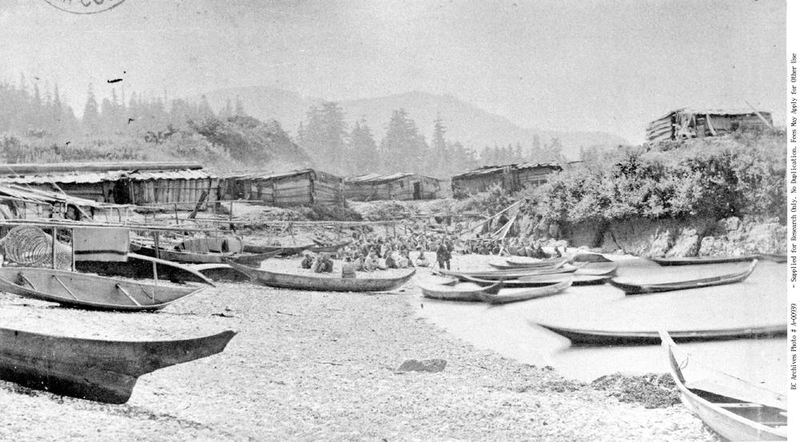 *footnote: The Bill Reid Centre at SFU has noted that this photo has the following caption: "The village of Ma-ate with people assembled and Superintendent Powell and Commander Orlebar standing on the beach. Photo by O.C. Hastings, July 27, 1879." After some sleuthing work, however, they identify the village as being that of Ow-i-ye-kum at Forward Inlet. 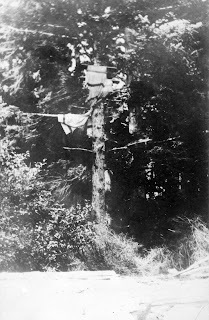 Pre-contact with Europeans, and during early days of contact, First Nations in Northern Vancouver Island practiced a burial ritual that involved entombing the deceased in a cedar box or laying them on a plank, and placing them in the branches of a large tree. The boxes were not very big, and bodies were curled up in a fetal position to fit into them. Often symbols of wealth like rattles, beads or coppers would be placed in the box. When Europeans and Hawaiians came to the North Island in the mid 1800s they often did not know what to make of these trees filled with boxes. As Christian missionaries became more influential they urged First Nations communities to move away from placing their dead in caves or in trees, and to bury their dead in the ground. 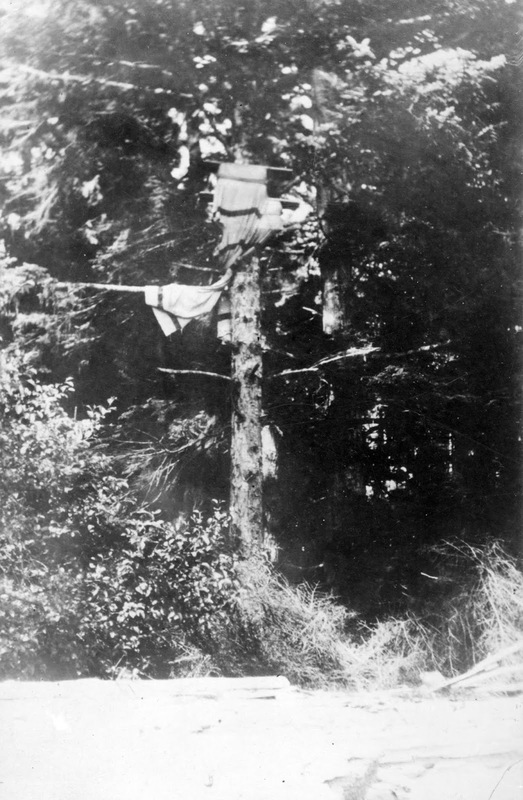 Many areas where traditional tree burial practices had been undertaken were desecrated in the early 1900s by looters. At times, for ceremonial purposes, the mummified remains of ancestors would be further preserved by smoking, and then could be brought out on occasions in the community.